PARKING: ABLE Parking at 160 West 124th Street offers Red Rooster customers a special rate of $10 for cars, or $13 for Suv's with a stamped validation. For a closer park & lock option around the corner there is ProPark Garage at 120 West 126th Street. SUBWAY: The 2 & 3 express lines to 125th Street & Lenox Avenue station are just steps away from the front door of the Red Rooster. The A, C, B and D lines at 125th Street and Saint Nicholas Avenue Station are 3 blocks away. BUS: The 102 & 7 Buses stop directly in front of the Rooster. Our comforting and seasonal cuisine and lively environment offer a variety of options for creating a truly memorable experience – whether it is for a business function or family gathering. And if a live musical performance is scheduled for Ginny’s on the night of your party, we would love for you to join us for this ticketed event, with our compliments. 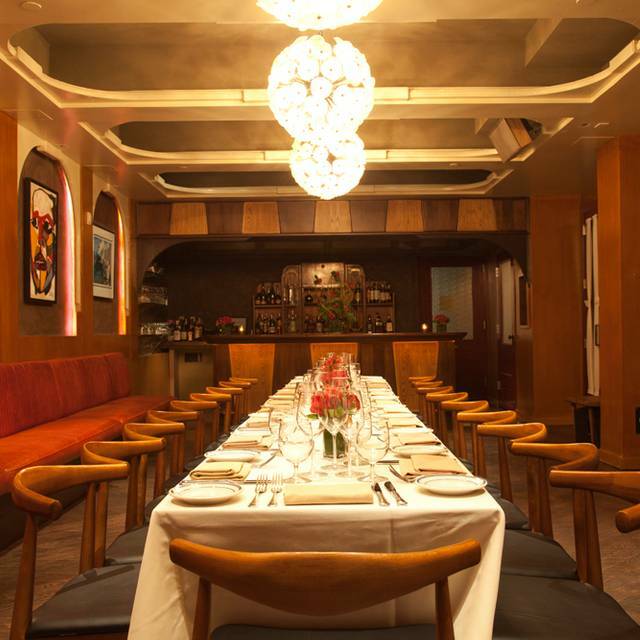 Wander downstairs at the Red Rooster Harlem and you'll soon pick up the trail of its spirited sister venue. 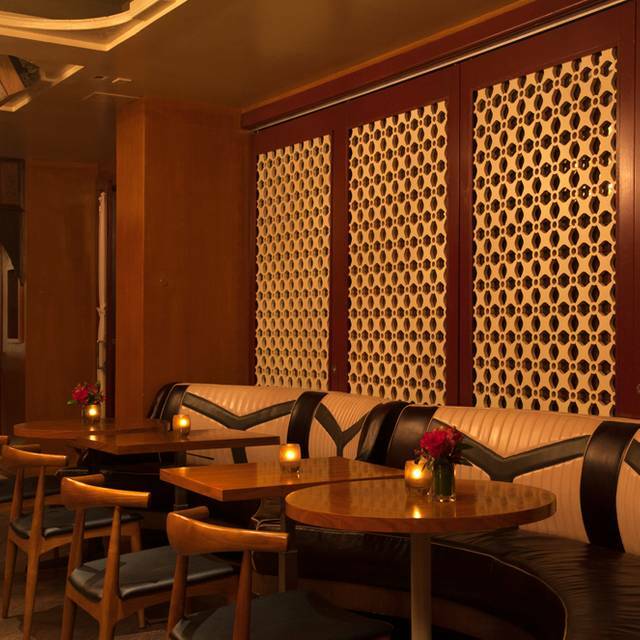 With a hat tipped to Harlem's Renaissance, Ginny's Supper Club is a modern reincarnation of the glamorous speakeasies and Harlem nights of the Twenties – an intimate lounge with a warm bourbon glow and an even warmer welcome. 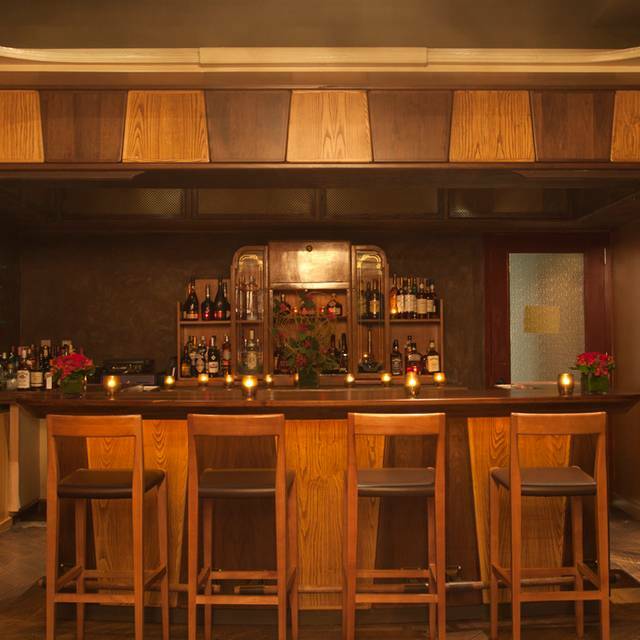 Kindled by the hottest live music, creative cocktails, soulful food and Harlem's vibrant culture, Ginny's exists solely for the glory of a great night out. Want Easter Sunday to be extra special? Come to Ginny's Supper Club and celebrate the holiday with our famous Gospel Brunch Buffet. Reservations required. Great night out with a wonderful performance and very tasty food! Only negative is that the volume was just a bit too loud for comfort at our table (2tables away from the stage), almost made us want to cover our ears for fear of hearing damage. Do not remember having the same experience last time we went. The cover charge needs to be communicated better. The process of ordering everything up front because when the set ends you have to leave - should also be explained better. Great place though. Although we were amongst the first 10 people to arrive, we were seated outside of the main room. We felt left out of the celebration . No one offered us to move and once the show started, even at 30 minutes before the end of the brunch. The food was ok, but soul food would be more exotic. The service and show were excellent. I loved the entire experience from the Ginny's staff to the food and the gospel! Cannot wait to come back. Excelent the Gospel choir. Maybe the food need something different for people of other countries who are not used to eat those things in the morning. But everything was great! Everyone was nice and kind. I liked the environment and food. However, the Gospel Brunch was way too overpriced. There was no food left towards the end. And the performance is only about 25 minutes. So, I don't recommend it for this price. There was a long queue for Food. Only about 5 different dishes. Dessert and other Food had to be taken on the same plate. The music was much too loud and the show too short. Fantastic! Great atmosphere, superb service, delicious food, and fabulous music. Definitely go here! Absolutely amazing experience. Terrific ambiance upstairs and down. Great jazz and first rate food coming out of the Red Rooster kitchen. Signature cocktails, not usually my thing, are both interesting and delicious. 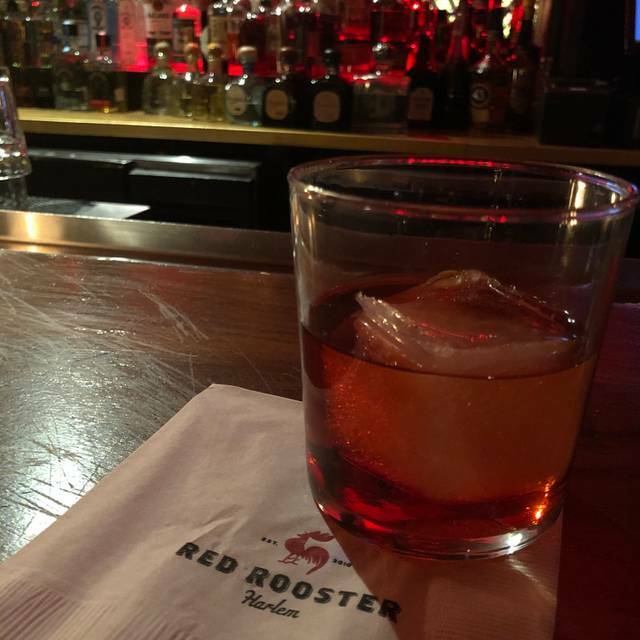 We arrived early and had a drink at the Red Rooster bar before heading down for our reservation and enjoyed it so much that we stayed at the bar for another hour after after dinner. Every dish we tried was spot on, always a different and interesting take on a classic you think you know. Good show and very kind staff. However, the food was not mush to brag about. 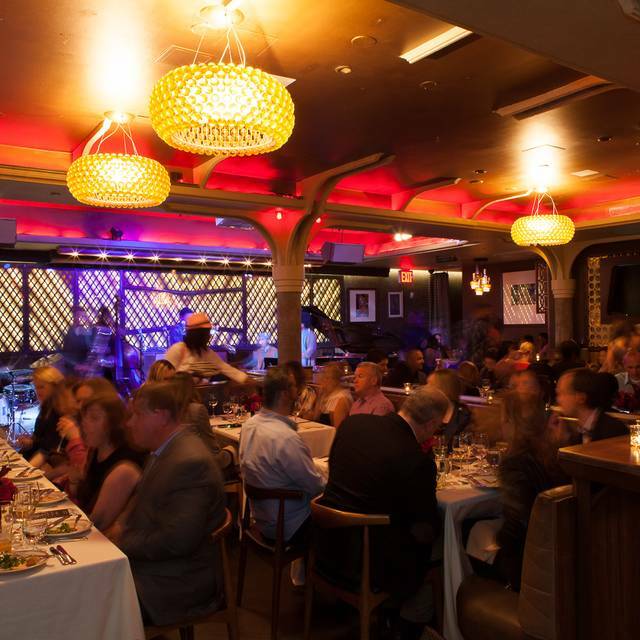 I'd recommend other guests to stay upstairs at the Red Rooster and enjoy the music there, and the food. Fantastic! Food was good and music was amazing. Great venue! Highly recommend! Great experience, definitely going back again. Good food and great ambience. The food (buffet) was ok, no more, but the show was fantastic and well worth the visit. Wondering if the food upstairs for the Sunday brunch is any better. I suspect so. We attended the Sunday Gospel brunch. The food was great and the entertainment was amazing. The schedule worked perfect, your are able to enjoy your food and company before the music. You will be smiling and in awe of the talent that this group has! Went for my wife’s birthday. The jazz band was awesome but the food left a lot to be desired. I ordered the pasta Piccadilly, the waiter said the didn’t have any more Chile so instead of crab they were substituting fried chicken. He recommended the chocked stated he had it earlier. Don’t understand if you don’t have Chiles why do you have to remove the crab from the dish as well. The dish was heavy in vinegar and bland as well. My wife ordered the jerk chicken which was very bland as well. No spice or kick to it. The appetizers were good the lobster ceviche was delicious as well as the fried shrimp cocktail. The dipping sauce was well seasoned. Will go back for the music and appetizers but done with the entree’s. The host that seated us was extremely helpful. We came to see the Sing Harlem Choir... AMAZING!!! The food was great, and plenty of it, and the gospel singers were outstanding! We were in the 10:45 seating, and the brunch finished around 12:30. Afterwards we hung out in the red rooster bar upstairs listening to more music. We had so much fun, and would definitely recommend it! I would recommend highly to try at least once. Gospel brunch was wonderful: Great food, ambience, service with excellent music. i had a really great time overall and the food was good. The entertainment was very good too but they were only on for 30 minutes and for a $20 cover charge i think it was way too steep and not worth it i'm afraid. 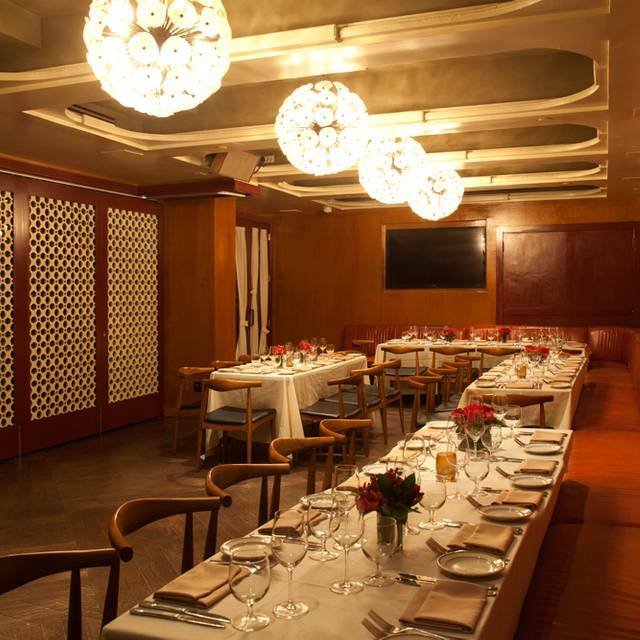 We have eaten at Red Rooster twice and it was a highlight of my New York business trip, so I expected Ginny's Supper Club to have the same great food and service, but we were very disappointed. The restaurant was out of the menu item we ordered, what we did order was not innovative or interesting, lacked flavor and was not hot. Service was lax. Incredible music and food in.a beautiful hidden gem of a room underneath Red Rooster. Vodka and fruit juice drinks neither shaken nor stirred? Just juice on the bottom, vodka floating on top? That said, it’s a great spot where if you don’t have a great night it’s time to check your pulse! We had a superb tasting menu for New Year's Eve, supported by top notch service, great live jazz. Everything as promised. Worth a return. Experienced the Gospel brunch. Good and creative food. The Gospel show was fantastic and took it to a new level. Reasonably priced for a good brunch and a short but amazing show. On a negative note. Not OK, after spending a substantial amount of money in the restaurant, to be verbally attacked by the door man for not buying a CD recording when leaving the restaurant. We attended the Christmas Jazz Buffet at 8pm. Arrived early and were promptly seated at 7:50. The band was playing a song when we arrived, as soon as we sat down, they packed up for the evening. Apparently, 8pm was the last reservation so no music and "end of the evening" food. We didn't know this or we would not have attended. Food was fine but not everything listed on the online menu was not still available. The desserts were mostly store-bought looking cookies as it was the end of the evening. The service was fine. Everyone who worked there was pleasant and polite. Someone was sweeping up constantly, sweeping under our table and hitting my leg...it was odd since there was no mess. Disappointed. It wasn't terrible, just not a fun experience like we had hoped. You might have better luck upstairs at the Red Rooster - much livelier atmosphere and the food choices looked more interesting and better quality. That was an extremely disappointing meal. The buffet was low on food, what food was there was cold and poorly cooked, and choices were extremely limited. The dessert table was almost laughable.It was like a cheap buffet set up in a dive bar on Christmas but somehow $65. Such an incredible let down. The group seating I guess fit the theme. Not sure why we had to wait to be seated when there was handfuls or open seats. The whole thing for two plus ONE drink and tip was almost $200. 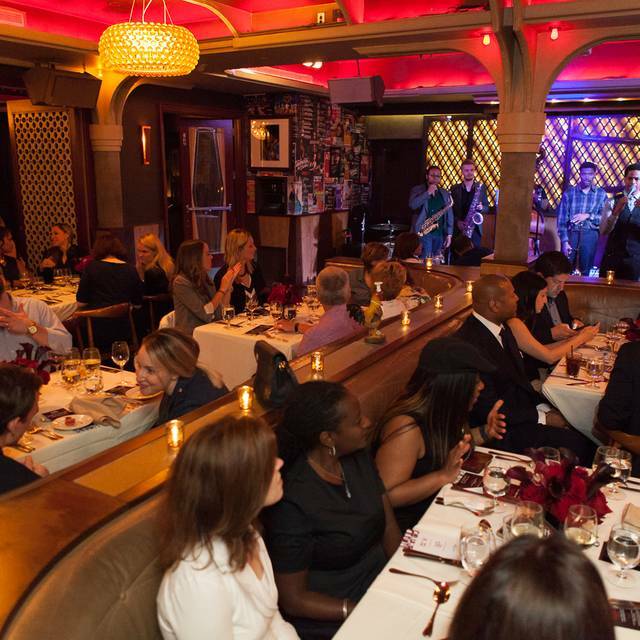 Well I love the Red Rooster and Ginny's supper Club downstairs - I reserved from London as we were going to be in New York for a few days - I love Jazz and the venue is perfect for music and atmosphere. The food is usually much better but as it was Christmas Eve, there was a special menu which was not great and the service and food were not brilliant. That did not matter as our table was right next to the band and we had the most fantastic evening. Wow. Okay, went with my brother-in-law and nephew for xmas eve. OpenTable didn't have a notice attached to the dinner reservation that there would be a cover charge for live music. And when the confirmation email came from Ginny's with the cover notice, there was a range given ($10 - $25) that the cover charge would fall between. Really? Just be prepared to pay whatever the hostperson tells you? Okay. I know they change seatings between sets but it took 45 minutes to get seated. Food was great. Service was incredibly disorganized. No less than 5 people attended to our table in some way (take the order, bring the food, bring the drinks (never got 2 of them), bus the table, bring the bill) but the right hand didn't know what the left hand was doing. When we got the bill, we were charged for 3 items we didn't order. The music: Gloria Ryann and her band with a couple guests. Music mix of xmas, covers and originals. Enjoyed the music but the volume was too loud for the room, to the point of distortion. 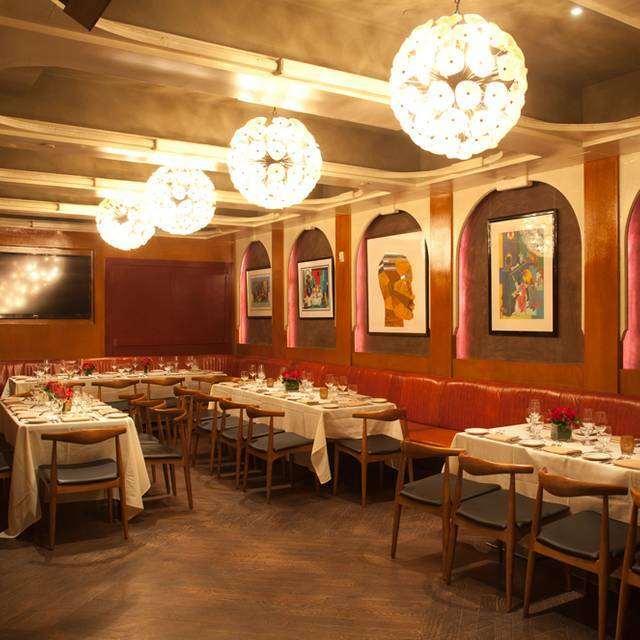 Marcus Samuelsson does terrific food. But whoever he got to run these restaurants can't handle the volume of people and orders. The woman who took our order jotted it down on the back of a promotional card! Fortunately, there will be a never-ending flood of tourists coming to Red Rooster. I'll never go back. It was Christmas Eve and while the music and ambiance was great, the service and prix fix food was awful. Our server was friendly but very absent, we didn’t get our starter for 40 min, then she kept forgetting one of our family’s dishes at every course of meal. The manager did adjust our drinks off the bill for them forgetting so many of our dishes, which was nice. I would go again for the music and to try the regular menu, but never again for a special occasion. Fantastic lunch and gospel sundays at 12 pm. I love it! Amazing Vocalist! Food, crowd & the club was a great ending! The manager & the whole staff was Best of the Best! Everyrhing was great, but think there should be a broader selection for food to eat.